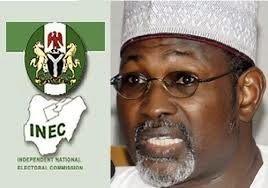 The Chairman of the Independent National Electoral Commission (INEC), Prof. Attahiru Jega, on Tuesday released the processes and procedures for the elections as well as the processes of releasing the results during the polls by the presiding officers. Speaking at a stakeholders’ summit with political parties, Jega informed those present that accreditation of voters would take place from 8a.m. till the last person to join the queue at 1p.m. is accredited, while voting would commence at 1.30p.m. and would end when the last person on the queue has voted. The INEC chairman further said only persons with the permanent voters’ cards (PVCs) would be accredited, stating that the card readers would be used during the accreditation process. He said each political party is entitled to an agent at the polling station and that the agent must be properly accredited in accordance with the regulations and guidelines. According to Jega, “On March 28, three ballot boxes will be used in each of the polling/voting points. Ballot boxes with red cover is for putting a thumb printing ballot paper by a voter for the presidential election, ballot box with a black cover is putting thumb printing ballot paper by a voter for the senatorial election and the green ballot box is for putting thumb printed ballot paper by a voter for the House of Representatives. As a result of this, he said there shall be two sorting of voting at the polling units, explaining that it was meant to ensure that any wrongly placed ballot papers re removed and put back into the right ballot boxes and the second is meant to determine the votes cast by voters for a political party/candidate. According to the INEC chairman, “At the end of the sorting and counting of the ballot papers, the results are to be announced to the rearing of all and a result poster is to be completed and pasted at the polling units. Copies of the result sheets are to be given a accredited party agents who are present while the original is to be conveyed to the ward level coalition centre by the presiding officer accompanied by the security agents and the party agents. Jega further explained that hard copies of result sheets from the polling units would be scanned, converted to PDF format and put in a database, which be made accessible for viewing an download via the INEC website. This, he said, is to ensure the accuracy of the collated results. He also used the occasion to assure Nigerians of a credible, fair and transparent election at all level. Oh Allah, we are paying for peaceful, free and fair upcoming elections !